Kids are totally gross. 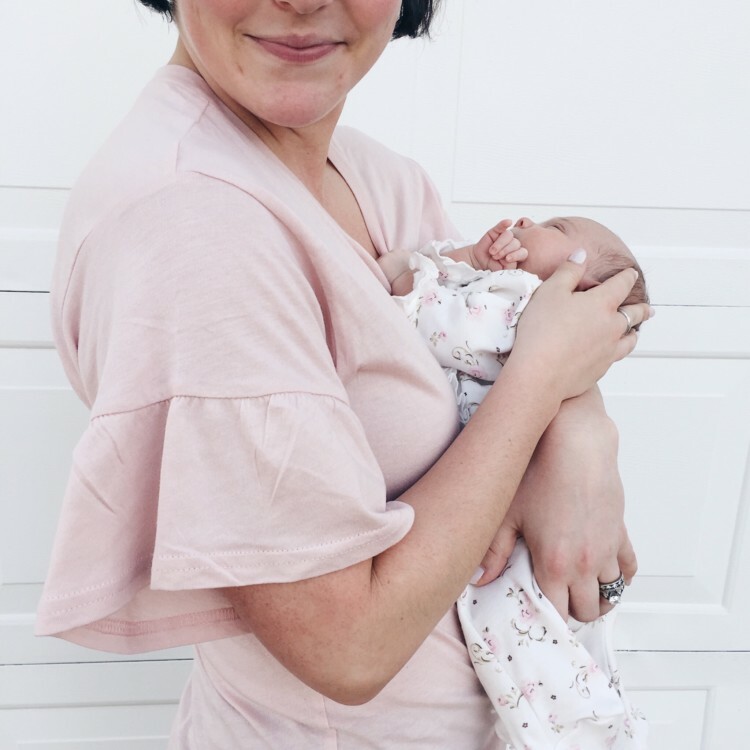 Constant runny noses, sticky faces, and a track record of croup, hand foot & mouth, and about a million colds in between, I was seriously concerned about the kids getting the new baby sick. Kids aren’t known for their gentle and conscientious body movements – legit concerns about them hurting the baby, accidentally, of course. Obviously fed is best, but breastmilk provides special antibodies to protect babies from infection. Basically, probiotics are good bacteria that keep bad bacteria in check. Most babies (97%) are born without B.infantis in their gut microbiome, but introducing this good gut bacteria in infancy could decrease the risk for eczema, allergies, obesity, and diabetes. Doctors working with preemies even use B.infantis in combination with breast milk to help restore their delicate bellies. Evivo sends you live B.infantis (it’s a powder in a little foil packet) via special cold packaging that keeps out light, moisture, heat, and air. 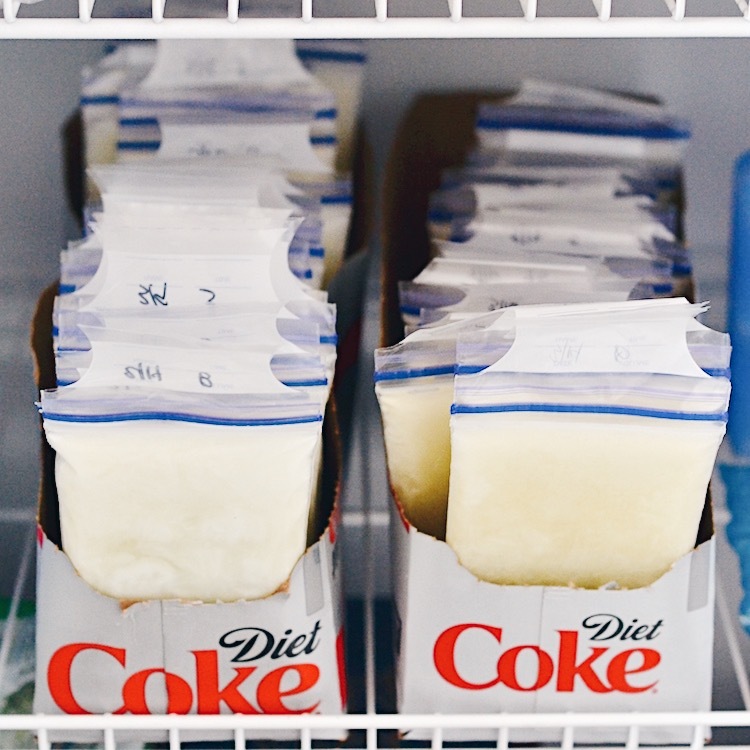 You keep it in the fridge or freezer until you’re ready to use it. You mix the packet with a very little bit of breast milk – between 3-5ml is perfect. I keep a bag of 1 ounce of breast milk in the fridge for the week and mix it each day. Feed baby with the dropper provided. Evivo is giving the first 50 readers a $10 off discount on a Probiotics Starter Kit – redeem code ev7-b4s6a7s8 for $10 off @ evivo.com before 9/30/17. The easiest way to keep strangers from touching your baby is to wear them. Most random people won’t reach into another adult’s personal space to touch a newborn baby. It also dramatically reduces the “can I hold her?” question because, obviously, baby is so snug and wrapped up. My kids play a little, ahem, rough. It’s been best to have Emmy separate from the bigs instead of just on a blanket in the middle of the floor. You know, so she doesn’t get run over. Whether it’s “gentle hands”, “we don’t touch baby’s face”, “touch baby’s toes only” or “show me how you touch your own belly”, I say it nonstop. The kids want to play with baby and it’s been SO important to teach them how to play with her so that she stays safe. What’s the best way you’ve found to keep your baby healthy? Be sure to check out more Breastfeeding & Pumping posts before you go!